"You are so thoughtful - as if you'd have any idea what a 'keeper' was." Vertical Entertainment has debuted the first official trailer for an indie comedy titled The Wilde Wedding, about a wedding that gets a bit crazy (if the title wasn't already an indication of that). The two people getting hitched are played by Glenn Close and Patrick Stewart, a retired film star marrying a renowned English writer. The rest of the "wild" ensemble cast of great actors includes John Malkovich, Minnie Driver, Jack Davenport, Yael Stone, Peter Facinelli, Noah Emmerich, and Grace Van Patten. I'm not sure where this came from, as I've never heard of the film before, but it looks entertaining in an awkward dysfunctional comedy way. There's tons of sexual tension being built up and released in this trailer, so make sure you wear a condom. Have fun. 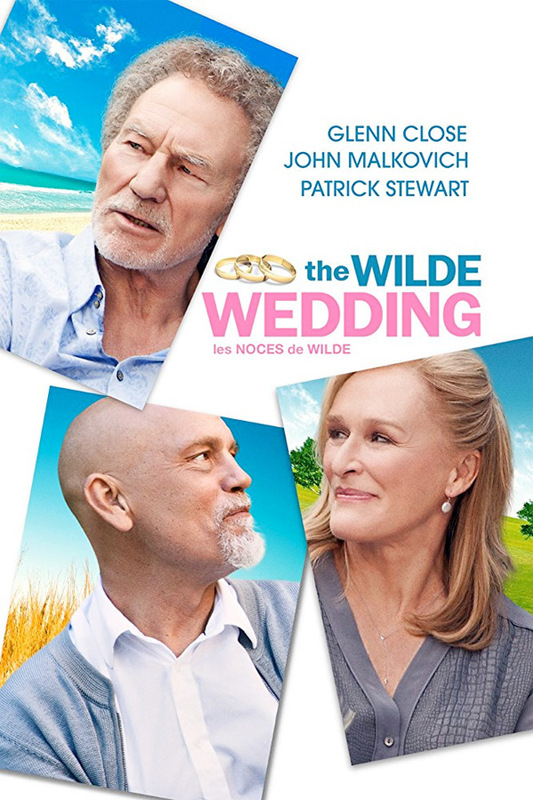 In the film, now-retired film star Eve Wilde (Glenn Close) prepares for her wedding to husband number four, renowned English writer Harold Alcott (Patrick Stewart) after a whirlwind courtship. At her upstate New York home -- in the presence of both Wilde's first husband, celebrated stage actor Laurence Darling (John Malkovich), and their families (Minnie Driver, Jack Davenport, Yael Stone, Peter Facinelli, Noah Emmerich, Grace Van Patten) -- the long summer weekend offers the opportunity for everyone to get to know each other a bit more intimately. As sexual sparks begin to fly, there are unforeseen consequences abound. The Wilde Wedding is written and directed by English filmmaker Damian Harris, of Gardens of the Night, Mercy, Bad Company, Deceived, The Rachel Papers, as well as Greasy Lake previously. Vertical Entertainment will release The Wilde Wedding in theaters starting September 15th this fall. Interested?